Children should have their eyes checked in infancy, and also before school starts. Unless there are noticeable vision problems, children need to see the optometrist every two or three years. Adults with normal vision and no eye problems should have their eyes checked every three years until the age of 40. After 40, we like to see all of our patients for an annual vision exam. Why are More Exams Needed After the Age of 40? You can have the beginnings of any of these diseases without noticing any symptoms, but they can all be diagnosed with a comprehensive eye exam. Once the disease has been detected, treatment can begin, and the earlier treatment starts, the more effective it can be in stopping or delaying the progress of the disease. Write down a list of any medications you may be taking, and also any questions you may have for the eye doctor. When you go to the office, bring your eyeglasses and your contact lenses, if you wear them, as well as a good pair of sunglasses. We'll be dilating your eyes, which make your eyes sensitive to sunlight. Your eye examination will last between 30 minutes and an hour, in most cases. We'll start with a consultation, where the optometrist will get to know you and your medical history, as well as details about your vision. The actual exam will begin with a visual acuity test, which checks how well your eyes can focus on objects in front of you. The results will give a prescription that will allow us to provide eyewear to correct your vision to normal. After finding out about the state of your vision, our eye doctor will concentrate on the health of your eyes. 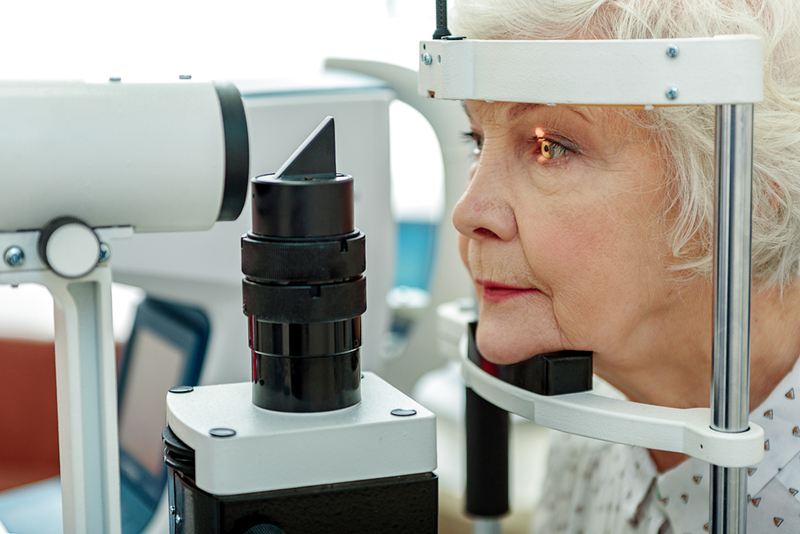 You'll get a test for glaucoma, which consists of a puff of air into each eye. We'll dilate your eyes with drops, which allows the doctor to see better into the interior of your eye. This will allow him to check for developing diseases in the interior of your eyes. If the optometrist finds signs of any eye disease, he'll talk with you about signs to watch for, and treatments you can use now and in the future to prevent or delay the disease from developing. If you haven't seen the eye doctor for at least a year, it's time to check in and see the health of your eyes. Call our office in Katy at 281-644-2010, or in Houston at (713) 984-9144, and schedule an appointment today.